Zsolt Frei is a Professor of Astrophysics at Eötvös University, Budapest. He chairs the Department of Atomic Physics and is deputy director of the Institute of Physics at Eötvös. He received his MSc equivalent diploma in Physics from Eötvös (1989), and his PhD in Astrophysical Sciences from Princeton University, in 1994. He had a visiting position at Max Planck Institute for Astrophysics, Garching, Germany (1995), and a postdoc at the University of Pennsylvania (1996-98), and also spent significant time at UT and at Fermilab before returning to a tenured position at Eötvös. At Eötvös he established the Astrophysics teaching program, published the first Hungarian language book on Cosmology (with co-author András Patkós), and started to work with PhD students. His research interests include automatic morphological classification of galaxies for large sky surveys, merger tree codes to simulate structure formation of the early universe, LIGO data analysis, and astrophysical studies of gravitational-wave counterparts both for LIGO and the proposed LISA. Peter Raffai is an assistant professor at Eötvös University, Budapest. He received his PhD degree in 2012 at Eötvös University, and worked as a postdoctoral research scientist at Columbia University, New York, between 2011-2013. 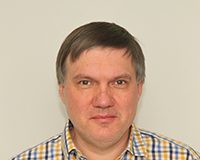 He has been a member of the EGRG since 2007, and in particular, he has been leading the data analysis efforts of the group at Eötvös University. He also takes a significant part of the group's outreach activity by giving academic and public lectures in gravitational-wave astrophysics, and mentoring students at many levels. His main research interest includes gravitational-wave astrophysics, multi-messenger astronomy, compact objects, gamma-ray bursts, and various aspects of signal and image processing. Bence Bécsy is an MSc student at Eötvös University. He previously represented Hungary at the 6th and 7th International Olympiad on Astronomy and Astrophysics, where he achieved a bronze and a silver medal, respectively. 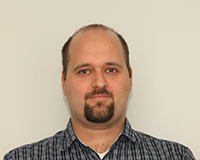 He joined the Eötvös Gravity Research Group in September 2014. In his BSc thesis he examined parameter estimation of gravitational-wave burst signals. Currently he works on methods to estimate astrophysical parameters of gravitational-waves. He is also interested in the physics of compact objects and Bayesian statistics. 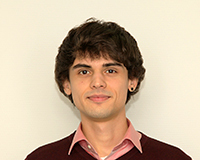 Gergely Dálya is an MSc student at Eötvös University who joined the Eötvös Gravity Research Group in July 2015. He was a member of the Hungarian team at the 5th and 6th International Olympiad on Astronomy and Astrophysics, recieveing an honourable mention and a bronze medal. In his BSc diploma thesis he investigated the possibility of exoplanet detection around pulsating variable stars via frequency modulation methods. His current research focuses on creating and implementing a value-added full-sky galaxy catalogue for the EM follow-up project of the LIGO collaboration. 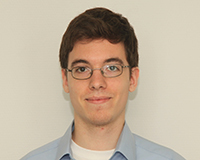 Ákos Szölgyén is an MSc student at Eötvös University, who joined the Eötvös Gravity Research Group in Spring 2013. 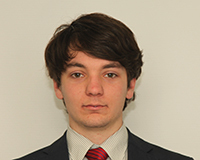 He earned his BSc diploma in 2015 as a member of the group, working on developing methods for optimizing current and future gravitational-wave detector operations. He continues to work on this research topic by studying how second-generation detectors can be optimized for various predefined scientific goals. Ákos was among the volunteers responsible for sending out alerts to electromagnetic follow-up partners during the first observing run of the Advanced LIGO detectors in 2015, where he participated in 24-hour long shifts of data quality and alert monitoring.